Customer service training improves the experience your customers have in their interactions with your organisation. This includes all interactions in person, on line, by telephone as well as by sales, customer service, accounts people, or any others. Customer service training aims to help people deliver improved service by helping them understand what makes better service and what customers expect. In today’s competitive markets the need for customer service training is greater than ever. How your people interact with customers is a vital part of their experience with your brand. Get it right and you create loyal customers. Get it wrong and you feed the competition. Customer service training designed and delivered by ITD covers the key processes and interpersonal skills. We get to understand the service your organisation gives, to ensure our training is delivered in the context of your market and your organisation. Our style of training is a blend of training and coaching to help participants make the behavioural changes they feel necessary. We also use the Live! approach. This means that you are working on your actual work situations and challenges whilst learning about models, frameworks, tips and ideas. Our approach means you will gain ideas which you can use in your work place straight away. Our belief is that it is always possible to improve your customer service. Just look at how the internet has changed our expectations of service. We expect to search and find pretty much anything we want within minutes. We expect to buy that thing within minutes. We expect to get that thing delivered within days, but hopefully tomorrow. Some are promising delivery today. We expect fast responsiveness. A reply now! Customer service is changing. And fast! We all need to keep up. We need to consider our customers’ expectations and deliver. This means refreshing our approach all the time. Looking for ways in which we can improve our customers’ experience; whether this be in sales, after sales, accounts, how complaints are handled, or wherever. And this goes for external and internal clients. Understanding your customers' experience of your service is helped with our customer service training. "The internet is driving customer expectations ever higher; customer service training helps you keep up." 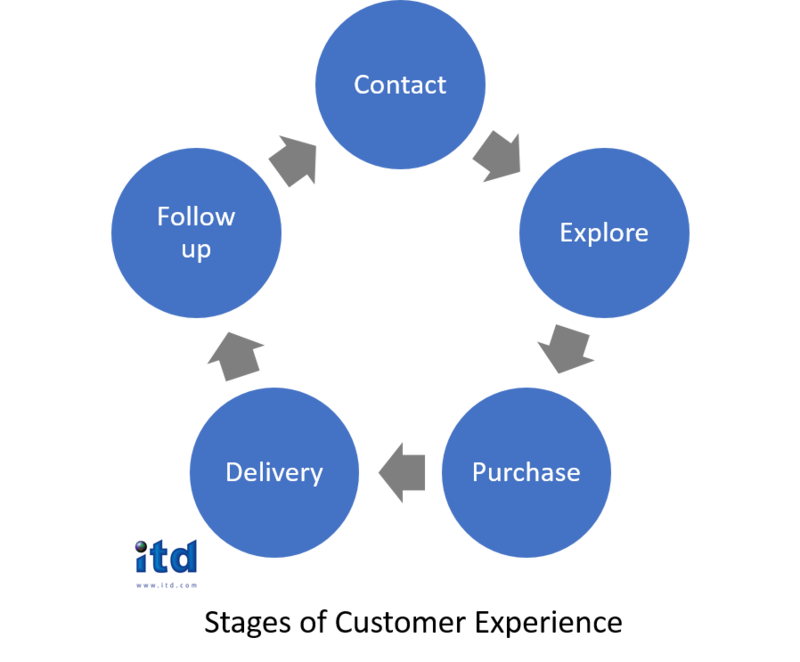 This ITD model explores the customers' experience and shows how this should be your focus not what you deliver. Research into expectations looks at what people expect from a service and what they would describe as exceeding their expectations. Model then applied to your organisation. The ITD Personality Model gives you a context for how personality impacts on service expectations. It also gives you ideas on how to adapt service to each personality type. The ITD Coaching Checklist can be used by both service providers and their managers to review their consistent behaviours when they deliver customer service. What will you learn from our customer service training? Take a fresh look at customer service. A new perspective on your customers' assumptions and expectations. How to give improved customer service. A look at the customer service norms in the market. New approaches on exceeding your customers' expectations. "Customer service is the 'how' you deliver, and is as important as what you deliver." "I find it very nerve racking when speaking up in meetings with seniors." "I want to learn how to work with colleagues who ask really detailed questions." How does our customer service training help your people? 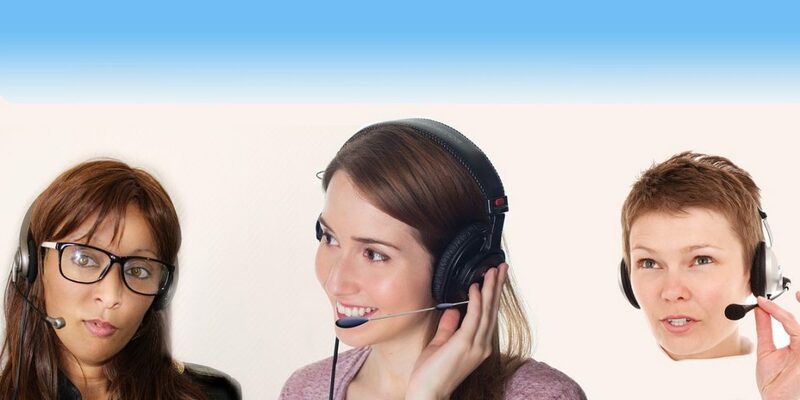 Improve confidence in dealing with challenging customer service situations. Gain ideas on how to approach customer service. Get better conscious awareness of your customers' experience. Explore good and bad scenarios of customer service. Get coaching on your customer service skills. What does our customer service training include? Our customer service training gives participants ideas on how to improve the experiences of their customers. It looks at both the processes and people touch points where you and your customers interact. These touch points really matter. Get one wrong and it can have impact on the whole customer experience. To summarise, this training helps people deliver better service. The cost of your customer service training course depends on; the duration of the session; the number of people; the number of sessions. Our pricing follows the market norm and we always help our clients to fit the cost with their budgets. We do not charge for adapting our customer service training course to fit your needs. Contact us for a quote and read more about our approach on fees. Click here for more on our approach to fees. "Customer service training is about learning how to take control of your customers' experience." Customer service training can really help all customer facing people, especially those people who face challenging customers on a daily basis. It will also help those who want to improve the service they deliver. Clients with challenges are by definition under a degree of stress. Things haven’t gone they way they want. Service has not been as good as they expected. But here is an opportunity to create a loyal and appreciative customer. Research tells us that a customer who has had a service issue resolved can be more loyal than one who hasn’t. Managing expectations is key, but so is how we deal with the customer. That means not just what we can do for them, but also how we communicate with them. How they are treated can be at least, if not more important to what happens about the fundamental issue. Customer service training can help people deliver great service, even in very challenging situations. Typically sessions last from 2 hours to 2 days, depending on the needs and objectives. The location of the training can either be in your offices or at an external location such as a hotel or conference centre. Meeting to discuss the participant’s needs, the team’s service requirements and those of the organisation. Draft workshop outline tailored to your needs. Participants complete a short pre workshop task engaging them in the subject prior to the session. Your experience of service; Good & Bad. Factors influencing client experiences of service. Barriers to providing excellent service. Educating clients in the long term to what they can expect. How to say no nicely. Follow through & follow up. Managing people separate from their issue. Controlling the ‘under promise and over deliver’ principle. Participants leave with individual actions. Email follow up of personal action plans. Suggested conversation with their line manager on their actions. Optional WebEx conference call follow up on these actions. ITD blog with further tips and suggestions. Strategies, ideas and tips on how to deal with their communication challenges. Knowledge of how to stand back from situations and take an overview of what is happening. The client is the IT Helpdesk function in a major organisation. Calls come from any other department with IT issues. Like many organisations the IT function has to balance the challenges of infrastructure limits, medium term projects and day to day service to internal customers. This team dealt with the latter but their experiences also need to be fed back to the project guys to make sure they are aware of the everyday issues of the IT function. The team offer a 24 hour IT helpdesk service. Calls can be anything from ‘my computer doesn’t work’ to ‘we need to get access to new software for a client’. Every caller things their issue is the most important and must be dealt with now! The big challenge for the helpdesk team is to manage work, manage expectations and get the issues solved as quickly as possible. Improve service given by the Help desk. We met with team to discuss their needs and the specific challenging situations. We also discussed the internal clients’ perspective with the HR people. We then developed a two day programme with time for participants to put personal actions into practice, with a formal follow up session. How do we say no to very forceful senior people? How can we manage expectations and get our message through? Why do organisations choose ITD for their customer service training? We have a unique approach to customer services training including our touch point map and emotional experience tool. We have over 20 years of experience in designing and delivering customer service training. Our training will de adapted to suit your needs and objectives. With our flexible approach to fees, we can adapt our solution to fit your budgets. Our consultants are highly experienced and deliver great results. Client comments consistently give us excellent feedback on our work.